Let’s be honest……a lot of aging is simply genetics, but there are things we all can do to slow down the aging process and to keep our skin healthy and glowing. Even better? These are simple things and they don’t have to break the bank. STAY HYDRATED: This important step requires little except for time and effort. We all get busy, but even just making it a point to drink a full glass of water before every meal can and will make a huge difference in your overall body performance AND your skin. Just start carrying your Yeti or Tumbler full off water and keep it with you at all times. You will be shocked how much more you drink by simply having it nearby. WASH YOUR FACE TWICE A DAY: This step sounds easy, but many of us aren’t washing our face enough per day and/or not properly. WASH YOUR HANDS PRIOR TO CLEANING YOUR FACE! Some people simply never thought of this step, but it is a huge one! If you are washing your face with dirty hands, you are simply defeating the purpose. You also want to make sure you are using lukewarm water (not too hot and not too cold), using the correct cleanser for your skin type, rinsing cleanser thoroughly, and (in my opinion) using some sort of cleansing brush. They remove dirt and debris 3-5x better than washing with your hands and many also come with anti-aging massage settings. USE A VITAMIN C: Vitamin C has been proven time and time again through research to be an amazing anti-aging fighter. Not only can it prevent issues from arising with its antioxidant benefits, but it also leads to better hydration, evening out skin tone, revitalizing skin surface, and keeping your skin younger….longer! I prefer a serum that I use after washing and before my sunscreen, but there are a ton of selections to choose from. I have personally seen the difference in a dear friend who started using a Vitamin C and sunscreen combo years ago. She looks years younger than she did prior to beginning the regiment! USE A SUNSCREEN....EVERYDAY! : I am so thankful for my mother in law telling me to start wearing sunscreen daily when I was in my 20’s. It has saved my skin and I definitely see the difference in how I have aged versus many friends who still do not wear a sunscreen daily. Sun exposure (even just driving in the car) over time WILL AGE YOU so simply put it on in the morning under your make up or buy a tinted sunscreen or buy a makeup with sunscreen. There are so many options that there’s definitely a perfect fit for everyone’s skin type and routine. GET ENOUGH SLEEP: I could write an entire blog on how sleep deprivation effects your skin. The smallest things effect proper sleep too…..from making sure you aren’t using devices right before bed, taking some deep breaths to calm your body, too harsh of sheets damaging skin, bags under eyes, breakouts, dehydrated skin….the list goes on and on! Make an effort to get your 8 hours of proper sleep and you will not only see a difference in your entire body, but also your skin. I know some of you are overwhelmed by the idea of having to add more products to your routine, but DON’T BE! We are here to help and below are a few links to get you started. Don’t forget you can also always call us and speak to one of our courteous professionals. If you’re searching for the perfect cleanser, you need to first know your skin type (normal, oily, dry, combo). Normal Skin Cleanser: My personal favorite is Brave Soldier Clean Skin. It lasts forever and is only $18! Dry Skin Cleanser: If you happen to have sensitive skin along with dryness, then definitely check out Avene. Oily Skin Cleanser: With oily skin it is even more important to make sure you are washing your face AM and PM to remove the access oil and debris that can lead to breakouts. Combination Skin Cleanser: I have spoken to many customers that struggle with finding the perfect cleanser. Often times it is the addition of another product (like a moisturizer) that is needed in order to achieve the optimal result. Don’t forget to use code COOL15 at checkout to receive an additional 15% off your order. And here at beautystoredepot shipping is ALWAYS FREE! 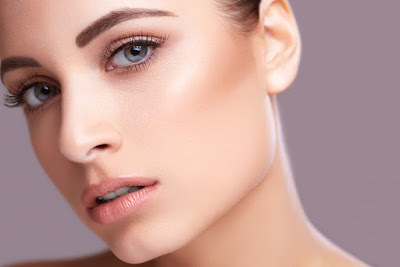 AntiOxidant can improve the quality of the skin.There are many ways to get connected with the other opportunities for the development of this community.The avoicefromthemiddle.com is helping the interested people who want to get an improved skin as well as youth skin for the longer time duration.